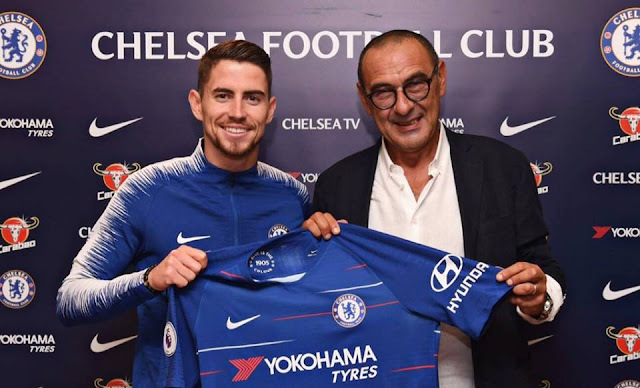 Jorginho was Maurizio Sarri’s first signing, with both completing their moves from Napoli to Chelsea on the same day in July 2018. From his position as a deep-lying playmaker in a midfield trio, Jorginho was a vital cog in Sarri’s Napoli. 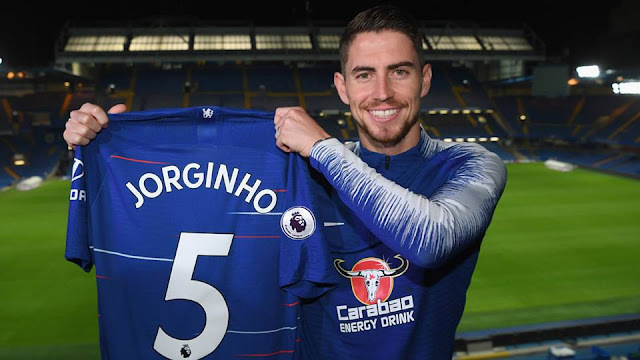 Jorginho is a highly technical footballer capable of dictating the tempo of play in possession with quick passing and movement. In Naples, his ability to link defence and attack stood out. Indeed, in Europe’s big five leagues in the 2017/18 season, no player had more touches of the ball per minute than Jorginho. Alongside his technical qualities, he is a combative player willing to put his foot in to regain possession, and his positioning without the ball further aids his effectiveness in front of the defence. At the age of 15, Jorginho moved from Brazil, the country of his birth, to Italy, qualifying for citizenship there through his grandparents. He began his senior career at Verona, where he broke into the first team following a successful loan spell at lower-league side Sambonifacese. He was a regular as they won promotion to Serie A after an 11-year absence. In January 2014, Jorginho joined Napoli. He enjoyed four-and-a-half excellent years at the San Paolo, where he won the Coppa Italia and the Italian Super Cup, featuring prominently as they consistently challenged for the title and lit up Europe in the Champions League. Jorginho adapted quickly to the demands of English football and scored a goal on his Premier League debut, converting from the penalty spot in our 3-0 win at Huddersfield.